Get into the spirit of Christmas shopping by attending an educational tasting seminar at BC Liquor Stores at Park Royal or 39th & Cambie location. Join Lemon Hart & Sons Master Blender, Michael Booth, as he takes you through an exclusive educational seminar and rum tasting, showcasing aspects such as distillation, maturation, origin, and colour. Lemon Hart’s Global Brand Ambassador will also be on hand to mix some exceptional rum cocktails featuring Lemon Hart’s newest rum introduction, Blackpool, an award winning single estate black spiced rum from Guyana. Tutored Scotch Whisky tasting with Stuart Brown, Diageo Whisky Consultant. Rare, old and unusual bottlings from famous and closed distilleries – this small, annual series of Special Release Single Malt Scotch Whiskies are limited editions, usually bottled at cask strength. They’re also some of the most sought-after whiskies in the world, though you definitely don’t have to be a collector to marvel at these magnificent, rare malts. Let Stuart Brown, Scotch consultant for Diageo’s preeminent release of the year guide you through some of Scotland’s most exceptional expressions of Scotch whisky. Tickets may be purchased at any BC Liquor Store location. Please see Customer Service desk for assistance. If you are a whisky lover, here is the latest info from BC Liquor stores about their summer whisky collection. BC Liquor Stores will release a special selection of ten premium whiskies on Saturday, June 16th. The collection has been carefully selected to include highly rated varieties and some have been hand selected and bottled for BC Liquor Stores. Some products will have bottle limits. These whiskies serve as ideal gifts for Father’s Day! Join us for a tasting of Buffalo Trace Kentucky Straight Bourbon to compliment the rare offerings that will be available as part of the Summer Whisky Collection. If you are a whisky lover, here are a few events in October presented by BC Liquor Stores in Vancouver. Here is their announcement. Warm up this fall and explore the ever changing world of whisky! BC Liquor Stores has an outstanding line-up of events and master classes for all whisky enthusiasts and avid collectors alike. Here is your inside track to some of the upcoming whisky events happening at BC Liquor Stores. Tickets are limited so don’t miss this opportunity to learn from industry experts and knowledgeable brand ambassadors! Do you like Scotch Whisky? Have you ever tried Highland Park? Why not attend this tasting of Highland Park whiskies at Liberty Wines in North Vancouver? to be bottled at a minimum strength of 40% ABV (alcohol by volume). 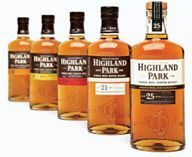 HIGHLAND PARK produces single malt Scotch Whisky and has won many awards. In 2009, Highland Park’s 18-year-old single malt Scotch whisky has been crowned ‘best spirit in the world’ for the second consecutive time by leading US independent whisky expert Paul Pacult in the Spirit Journal’s Top 115 Spirits in the World. Did I whet your appetite? Enjoy a great selection of single malts from one of the most famous distilleries in Scotland. Six exceptional single malts to taste & discover. Presented By Dan Volway, Highland Park Brand Ambassador for Western Canada. A Highland Park Welcome Cocktail & a Selection of Fine cheeses & baguette.